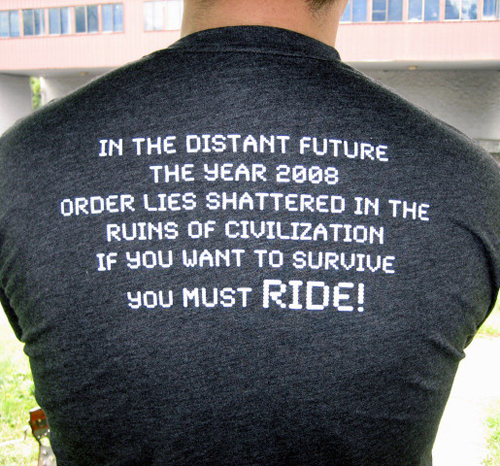 If You Want To Survive You Must RIDE! This t-shirt is part of our fundraising efforts was created by local scooter girl Sara as a souvenir of the Poker Run we had over Labor Day weekend. Professionally screen-printed on high quality shirts on both the front and back, there is even a design on the side (see last image) that would stir the heart of any child of the 80s. 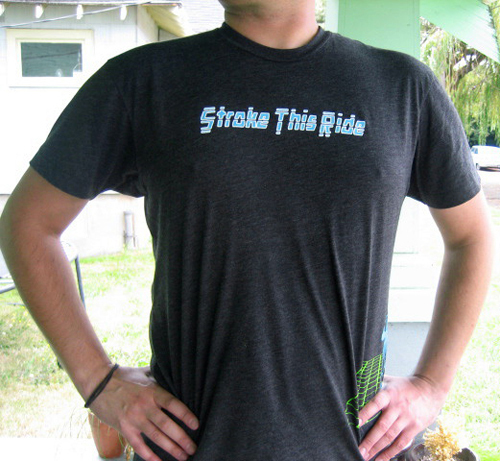 They’re $15.00 with all profits going to our friend Steve to aid in his recovery. This entry was posted in Clothing, Good Cause by Tracy. Bookmark the permalink.